Exmouth is a town on the tip of the North West Cape in Western Australia. Kick off your visit on the 1st (Wed): look for all kinds of wild species at Wildlife Areas and then don't miss a visit to Potshot Memorial. Get ready for a full day of sightseeing on the 2nd (Thu): identify plant and animal life at Ningaloo Reef and then enjoy the sand and surf at Turquoise Bay. For other places to visit, ratings, reviews, and other tourist information, you can read our Exmouth online trip maker . Amritsar, India to Exmouth is an approximately 25-hour flight. Due to the time zone difference, you'll lose 2 hours traveling from Amritsar to Exmouth. Traveling from Amritsar in May, you will find days in Exmouth are colder (33°C), and nights are little chillier (18°C). Finish up your sightseeing early on the 2nd (Thu) so you can travel to Perth. On the 3rd (Fri), take in the views from Elizabeth Quay, explore the galleries of Fremantle Prison, then hunt for treasures at Fremantle Markets, and finally take in nature's colorful creations at Kings Park & Botanic Garden. 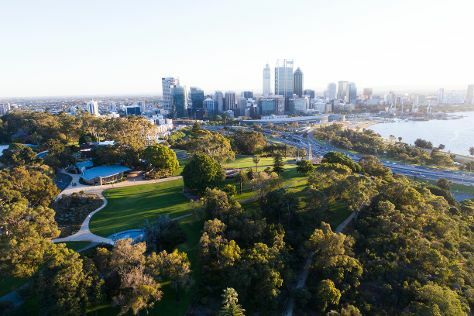 On the 4th (Sat), you'll have a packed day of sightseeing: explore the activities along Swan River, contemplate the long history of The Perth Mint, then pause for some photo ops at Kings Park War Memorial, and finally have some family-friendly fun at Elizabeth Quay Carousel. For photos, reviews, where to stay, and more tourist information, read Perth day trip site . Traveling by flight from Exmouth to Perth takes 5.5 hours. Alternatively, you can do a combination of car and flight; or drive. Traveling from Exmouth in May, expect Perth to be slightly colder, temps between 25°C and 11°C. Finish your sightseeing early on the 4th (Sat) to allow enough time to drive to Margaret River. Get out of town with these interesting Margaret River side-trips: Ngilgi Cave (in Yallingup), Busselton Jetty (in Busselton) and Meelup Beach (in Dunsborough). Spend the 5th (Sun) on a tasty journey with a beer tour and tasting. Next up on the itinerary: indulge in some culinary diversions at a local gastronomic tour, stop by Margaret River Chocolate Company, do a tasting at McHenry Hohnen Vintners, and explore the fascinating underground world of Lake Cave. To see other places to visit, reviews, more things to do, and other tourist information, you can read our Margaret River road trip app . Drive from Perth to Margaret River in 3 hours. Alternatively, you can take a bus; or do a combination of train and bus. Finish your sightseeing early on the 7th (Tue) so you can drive to Albany. 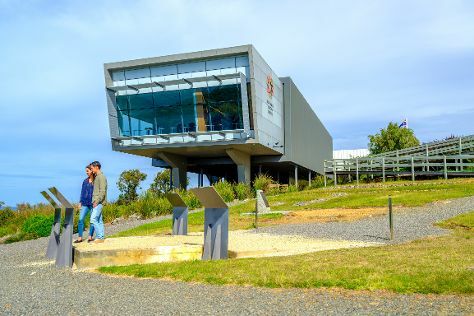 Start off your visit on the 8th (Wed): enjoy the sand and surf at Little Beach, take in the dramatic natural features at The Gap and Natural Bridge, then see the interesting displays at National Anzac Centre, and finally don't miss a visit to Convoy Lookout. Keep things going the next day: don't miss a visit to Albany Wind Farm, then see the interesting displays at Albany's Historic Whaling Station, then don't miss a visit to Padre White Lookout, and finally pause for some photo ops at Desert Mounted Corps Memorial. To find other places to visit, where to stay, traveler tips, and more tourist information, go to the Albany road trip planner . Traveling by car from Margaret River to Albany takes 4.5 hours. Alternatively, you can take a bus; or do a combination of bus and flight. In May, plan for daily highs up to 22°C, and evening lows to 10°C. Finish your sightseeing early on the 9th (Thu) so you can travel to Kangaroo Island. Kick off your visit on the 10th (Fri): stroll around Flinders Chase National Park. Get ready for a full day of sightseeing on the 11th (Sat): identify plant and animal life at Raptor Domain, then identify plant and animal life at Seal Bay Conservation Park, and then sample the fine beverages at KI Spirits. 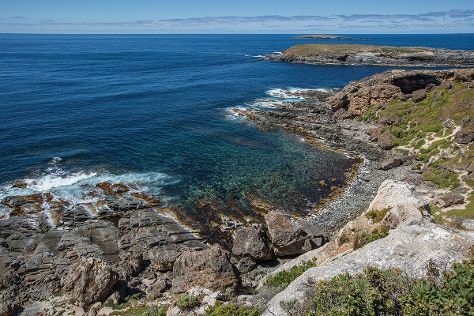 For traveler tips, more things to do, maps, and other tourist information, use the Kangaroo Island day trip tool . Traveling by flight from Albany to Kangaroo Island takes 9 hours. Alternatively, you can do a combination of bus and flight. The time zone difference moving from Australian Western Standard Time (AWST) to Australian Central Standard Time (South Australia) (ACST) is 1 hour. Cap off your sightseeing on the 11th (Sat) early enough to travel to Adelaide. Step out of Adelaide to go to Hahndorf and see The Cedars, which is approximately 30 minutes away. Dedicate the 13th (Mon) to wine at some of the top wineries in the area. 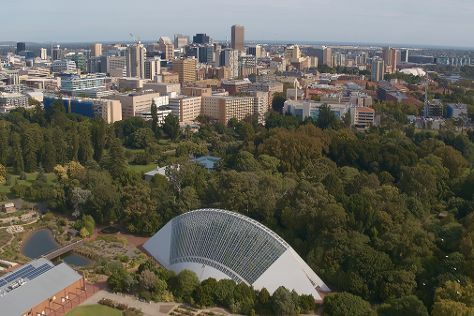 There's still lots to do: take in nature's colorful creations at Adelaide Botanic Garden, browse the eclectic array of goods at Adelaide Central Market, admire the masterpieces at Art Gallery of South Australia, and meet the residents at Adelaide Zoo. To find reviews, more things to do, traveler tips, and more tourist information, refer to the Adelaide online travel planner . Getting from Kangaroo Island to Adelaide by flight takes about 2.5 hours. Other options: do a combination of car and ferry; or do a combination of taxi, ferry, and bus. In May, daily temperatures in Adelaide can reach 22°C, while at night they dip to 12°C. Finish your sightseeing early on the 15th (Wed) so you can travel back home.